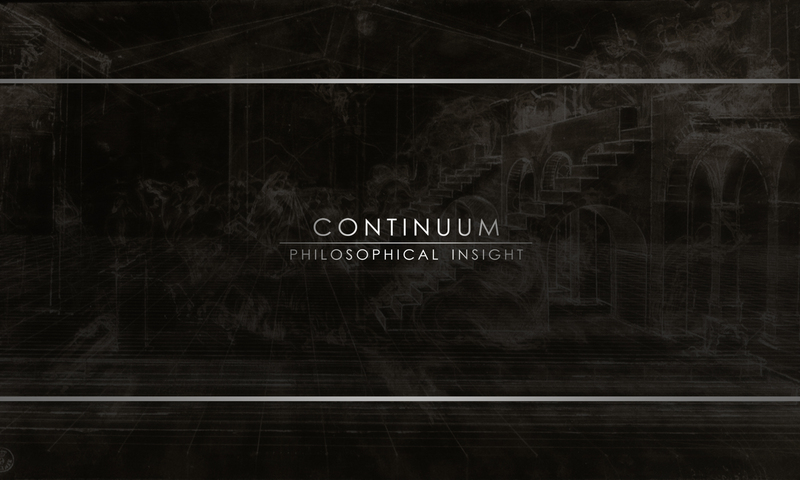 Continuum Philosophical Insight guides individuals and small groups in developing the habit of thoughtful, critical reflection. Put in other words, this is the habit of living philosophically. With the guidance of a personal philosopher, you can establish clear goals for intellectual development by discovering a process of critical reflection—that is, how to ask the right questions, in the right way, and how to pursue answers to those questions—and, with consistent reinforcement, assume this process as a set of habits. I will help guide you through these questions with semi-structured discussions conducted through a variety of media (email, text/chat, Skype) as well as with guided readings from personally-curated selections of philosophers and other great thinkers. For the most part, this process revolves around discussing ideas, both those derived from reading great thinkers and from real life experiences–often in their overlap. Scheduling is highly flexible (including nights and weekends), and there is no “end”; it is an on-going process–on a month-to-month calendar–where we are always asking new questions, digging deeper into the mystery of reality, learning and re-learning and recursively strengthening our understanding. Given the complexity and depth of this intellectual exploration, personal relationships are integral to having fruitful discussions and fostering the development of understanding and I maintain a small client base to develop these relationships, focusing on quality over quantity. Monthly subscriptions come in three different plans, scaled according to how much time is anticipated each month. $180 per month, with the expectation of approximately 3 hours of email correspondence, Skype sessions, and miscellaneous work. Additional work beyond 3 hours costs $65 per hour, billed by the quarter-hour. $275 per month, with the expectation of approximately 5 hours of email correspondence, Skype sessions, and miscellaneous work. Additional work beyond 5 hours costs $60 per hour, billed by the quarter-hour. Includes a monthly summary at no additional cost. $500 per month, with the expectation of approximately 10 hours of email correspondence, Skype sessions, and miscellaneous work. Additional work beyond 10 hours costs $45 per hour, billed by the quarter-hour. Includes weekly summaries and a monthly analysis at no additional cost. These plans are flexible and custom options are available.